Mumbai Indians is one of the most talkative team in Indian Premier League and also in the ongoing season of IPL, MI has participated as the defending IPL champion. But they are passing very worst time in current season. In the 9th match of the IPL tournament, Mumbai Indians faced defeat at home venue. It was their 3rd consecutive defeat in the ongoing season of IPL. And this time they faced defeat against Delhi Daredevils. Now, we must consider the strength of Delhi Daredevils in IPL. Their starting in the season was not also impressive. They were lost in the first two matches here this time but in the 3rd match of DD, they turned around and chased heavily. As a result they won against Mumbai Indians by seven wickets. The chasing was so impressive. The presented score was almost big but DD successfully chased it. 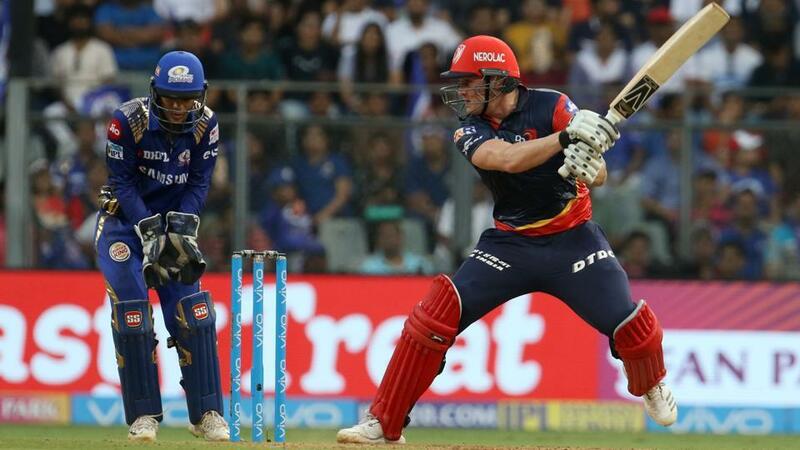 In 14th April, 2018 at the home venue of Mumbai Indians named Wankhede Stadium, Mumbai the match between MI and DD was executed. In the match Mumbai Indians faced the toss defeat at the beginnings. Toss is very important fact in IPL 11. Most of the case, toss winning team win the match. So, DD won the toss and decided to bowl first. Yadav and Evin Lewis started the innings for Mumbai Indians. Openers added 102 runs jointly which was so amazing. They led the team to a good total. They made 102 runs in 8.5 overs only. Though, they failed to keep continue their run rate but finally they managed a good figure at the end of the 20 overs. Along with them, Ishan Kishan scored 44 runs and skipper Rohit Sharma scored 18 runs for the team. Finally, they lost seven wickets totally and scored 194 runs. Boult, Daniel Christian and Rahul Tewatia took two wickets each for DD in the match. Chasing 194 runs was not an easy option. It seems that DD was going to lose the match. Though, they played full 20 overs to get the score chased. Jason Roy and captain Gambhir started the chasing for DD. In 50 runs Gambhir was gone with individual 15 runs only. Roy and Pant played well. Roy remained not out till the last and scored 91 runs highest. Pant scored 47 runs so far. Maxwell scored 13 runs and Iyer scored 27 runs for the team Delhi Daredevils. By losing only three wickets DD reached the destination.